We invite everyone to join thousands of our brothers and sisters in prayer at the 10th Annual Walk for Life which will take place on Saturday, January 25th, at the Civic Center Plaza in San Francisco at 12:30 p.m.
We encourage you to join with our Bishops in prayer and sacrifice for the protection of human life. You can go here to read the reflection for each day and to make some sacrifices or acts of reparation to help end the injustice of abortion. The evening before the Walk for Life West Coast, the Sisters of Life will host their annual Prayer Vigil for Life on Friday January 24th, 5:00 p.m. at St. Dominic Church in San Francisco, which includes Vespers and Mass followed by Benediction celebrated by Bishop Thomas Daly of San Jose. This year, twelve of the Sisters will be with us on the West Coast, including Mother Agnes Donovan, SV who has been a past Walk For Life Rally Speaker. As soon as the Sisters came to the West Coast for this Walk For Life event, they wasted no time in visiting the students at Stanford University to give talks on prayer. They also came to our chapel to visit our Lord in the Blessed Sacrament. We had the joy of visiting with the Sisters in the parlor and shared with each other our mission and the bliss of a life of prayer. The Sisters of Life are a contemplative / active religious community of women founded in 1991 by Cardinal John O’Connor for the protection and enhancement of the sacredness of every human life. constant in safeguarding the dignity of every human life. who lives and reigns with you in the unity of the Holy Spirit, one God, for ever and ever. Amen. If you are gifted, you are called. If you are called, you will be gifted. Over the past weekend, we had the privilege of accompanying 13 young women in their vocation discernment as they joined us in prayers and conferences. Thank you for your prayers and support in joining us with our effort to assist our Mother Church build a vocation culture. The event was totally awe-inspiring and grace-filled since all participants came to the event with open mind and heart, bursting with much excitement, energy and a lot of questions! Everyone left the monastery filled with gratitude for having the opportunity to spend some time in silence, prayers and Adoration, singing and chanting the Divine Office, visiting with the nuns, bonding and sharing with one another, and having enough tools and information under their belt to continue searching for the vocation where they can best serve God. To begin the weekend, our Prioress, Sr. Maria Christine, O.P. welcomed the candidates and assured them of the Dominican Family’s prayers. Afterwards, Fr. Steve Maekawa, O.P., the Vocation Director of the Western Dominican Province gave an introductory talk on how to make the best of the weekend by revealing to the candidates what God’s plan for them is; how to recognize the signs of their vocation and how to overcome obstacles so as to respond to God’s call more confidently. Fr. Steve used the example of the calling of Samuel to demonstrate the fact that when God calls, the one being called might encounter some confusion as she may not be familiar with it. However, with prayers, spiritual direction, fellowship, and study, one will come to understand her vocation with clarity and surrender more totally to doing God’s will. The following day began with Morning Prayer and Office of Readings at 5:35 a.m. And yes, all the candidates showed up on-time and with eagerness and enthusiasm! Following the Eucharistic celebration, Fr. Michael Fones, O.P., the Student Master of the Western Dominican Province gave a conference on Charisms, the qualities of Dominican Charisms and how we can discern our own charisms. Fr. Michael taught us that charisms were given to each of us at baptism to do some work of Jesus. When we understand our charisms, we understand why and how we are drawn to certain work or religious Order because our charisms are a major indication of God’s call in our life. For the remaining time, the candidates had a glimpse into the monastic life and learned about the roles of the Dominican nuns in the Church and the Order as they were presented the four pillars of the Dominican Contemplative life: prayer, common life, study and the vows with the monastic observances that are in place to support our life of living in unity with the Holy Trinity. Some of the comparative images of the contemplatives are: a power plant that seems to be quiet and unproductive but that which generates the electricity to keep the city moving; or a solar panel that drawing into itself the strength from the sun and transforming it into useable energy. By opening ourselves to God and becoming as receptive as possible to his goodness, we as contemplatives draw down graces and blessings on the preachers, teachers, social workers and all who are out there on the battlefield bringing people into the Kingdom of Christ. We continue to pray that these young ladies and all young peoples continue to be open to God’s invitation to a life of deeper union with him and to discern truthfully and commit themselves freely to the vocation in the Church to which they are being called. We will begin our first vocation discernment weekend tonight and we ask that you please join us in praying with and for the young women who are coming to the event. Blessed Jordan, worthy successor of St Dominic, in the early days of the Order, your example and zeal prompted many men and women to follow Christ in the white habit of our Holy Father. As patron of Dominican vocations, continue to stimulate talented and devoted men and women to consecrate their lives to God. 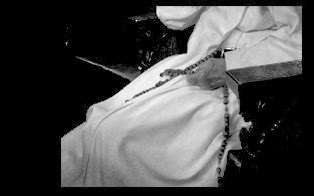 Through your intercession, lead to the Order of Preachers generous and sacrificing persons, willing to give themselves fervently to the apostolate of truth. Help them to prepare themselves to be worthy of the grace of a Dominican vocation. Inspire their hearts to become learned of God, that with firm determination they might aspire to be champions of the faith and true lights of the world. Amen. JESUS! Name of Wondrous Love! 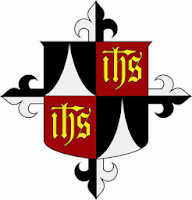 Today is the Feast of the Holy Name of Jesus, Titular Feast of the Western Dominican Province! Therefore, we give praise to our loving God, and pray for the Church through out the world. 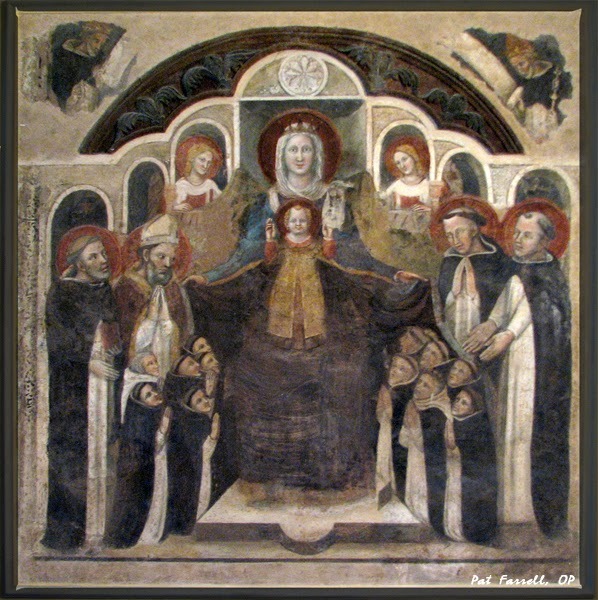 We praise God for the friars, nuns, sisters and laity of the Province of the Holy Name and ask for the grace of fidelity to the charism of our Holy Father St. Dominic. We praise God for the preaching vocation and ask for the grace to speak truthfully about God through our words and through our lives. We praise God for our call to study and ask for the grace to pursue him in all good things. We praise God for our opportunity for common prayer and ask for the grace to contemplate him unceasingly. 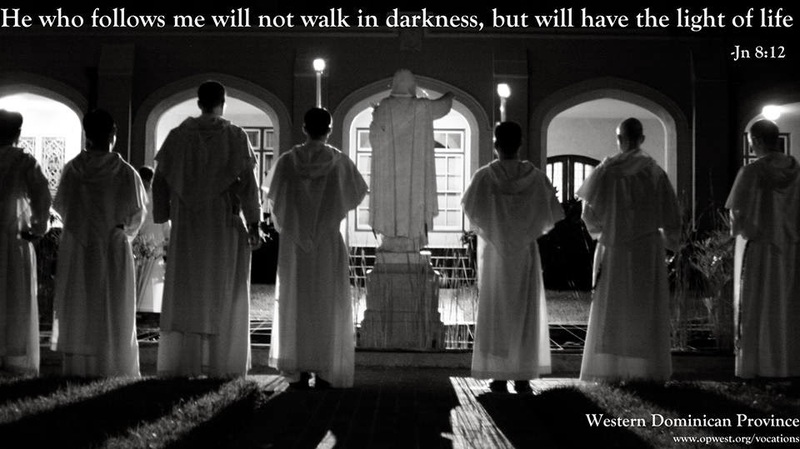 We especially give thanks to the Almighty God this day for the Friars of the Western Dominican Province who labor devotedly to honor the Holy Name of Jesus and pray for their peace and joy in God's service. May God send many more Dominican preachers into his great harvest! 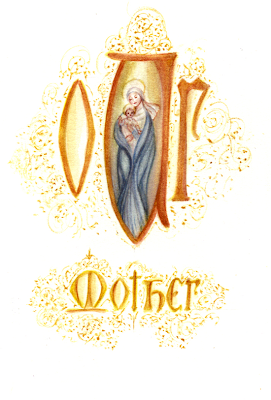 Mary, Our Mother, the One who gave birth to God. 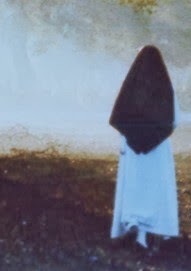 Gothic - Art of Illumination by our Sister Mary of the Holy Spirit, O.P. 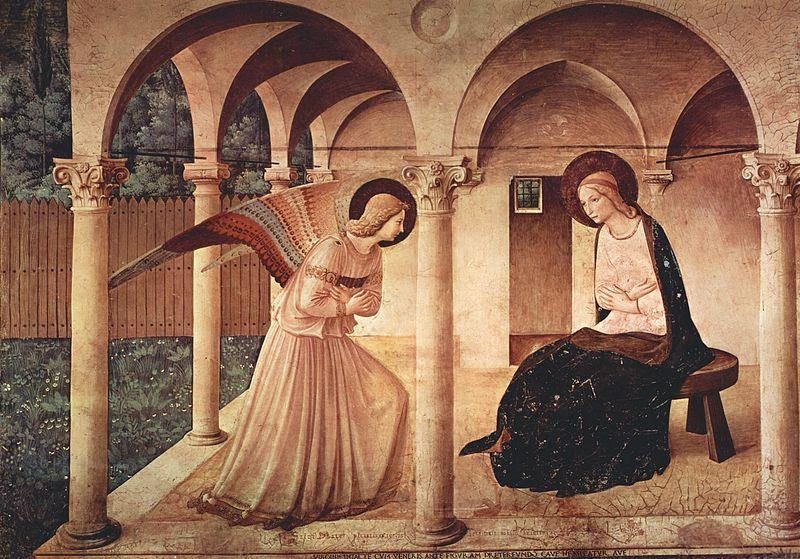 On this first day of the year, we joyfully and gratefully celebrate the Solemnity of the Mother of God, who is also our Mother. We thank God for all the blessings received this past year and ask that he continues to enlighten the eyes of our hearts to know his love, his mercy, and his presence in each other and in our world.